If you have a child who’s curious about science, and particularly the weather, then taking a closer look at weather stations for kids can be a great thing to do. You can satisfy the urge to learn and the child who wants to learn can become a great student of the weather. It just takes your encouragement, and guidance to turn that learning hunger into a directed study of the weather that can provide a lifetime of enjoyment and thrills. Since the weather is always changing the student shouldn’t ever get bored. Follow us as we walk you through setting up your weather station for your kid. In this guide, we’re going to highlight some of the unique and fun methods you can use to help your child make their very own weather station. We will also take a closer look at some of the different products you can purchase as well. Keeping this in mind, let’s take a closer look at the subject in greater detail. Firstly, it’s safe to say that developing a weather stations for your kid can be an excellent project that’ll definitely help to nurture a budding interest in science. Using true science as a basis for learning about the weather let us walk through some weather instruments that are basic and will be needed. In looking at these basic instruments that you can use, remember that the basics for any weather forecasting start with the temperature outside right now? Or is the wind blowing right now? You also think about: is it windy or not? and then you cover the bases with is it currently sunny, cloudy, rainy, or snowy? So keeping those questions in mind you then would need these instruments to answer any of these questions with your child. A basic station can begin with a simple thermometer to test the temperature at any given point in the day. 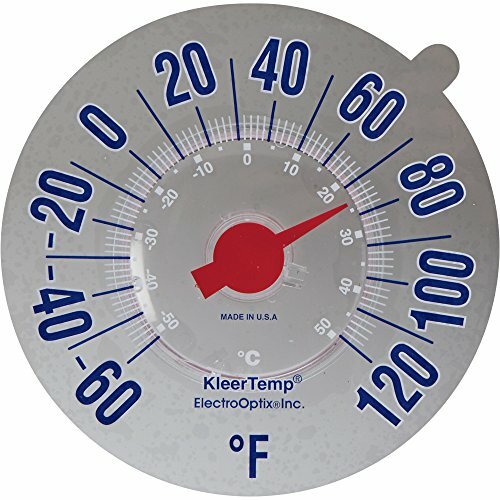 So in looking at a thermometer, you will need the following qualities. It should be an outdoor thermometer. It should be fastened down enough to prevent it from being compromised by any weather condition. Conditions such as extreme exposure to sunlight. This could disturb the effectiveness of your thermometer performing it’s duties. Usually it will cause the thermometers readings to be much more ineffective than if it is located in a shaded area. Once you have found one with large numbers for easy reading and recording then you can look at purchasing your first tool for your weather station. This thermometer is a great choice for your younger child. It works well because the numbers are bold and clearly found and read. This is easily installed on your window, the outside of the window, and it’s accuracy is rated highly by those who own it. So this matches up well with a good choice in starting your weather station for kids. It is also inexpensive in cost for your start up weather readings. You can easily put together a more comprehensive weather station that’ll give your child plenty of information to monitor throughout the day. Next up let’s look at rain gauges. Next on our list is one of the best things to look for when you’re building or purchasing instruments for your child’s weather station. This will be a rain gauge. This will be an essential aspect of monitoring the climate, as we discussed because precipitation is a large part of living daily on planet earth. Just as you’d expect, a simple rain gauge will allow your child to keep track of how much rain has fallen within any given period. You can certainly buy rain gauges as they are recommended and therefore needed for instruction of your weather in your area. Rain gauges are easily purchased for a reasonable amount of money. My favorite recommendation for your kid’s weather education is this rain gauge. This AcuRite 5-Inch Capacity Rain Gauge is my choice for easy to buy, easy to install and it has all the ingredients you would want in setting up your educational lab. It is easily read, and recorded. It installs with minimal effort, and then best of all it is very child friendly in the sense of it is easy to read. It will last the length of your child needing it, and it is operated with a correct understanding (It is easily understood). The student will comfortably use with their science reports. As I mentioned earlier the price is right as well. Buy with ease now from Amazon. You also could use a basic setup that involves using a simple jar to collect the rainfall, and then measuring it with a ruler to judge how much has fallen during any given period. This is a great suggestion for a do it yourself person. It will require time and gathering up some supplies. 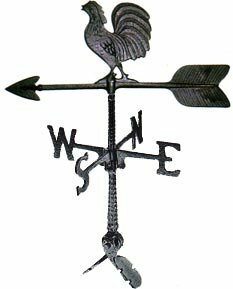 Another great item to add to your weather station will be a simple weathervane that lets you know which way the wind is blowing. So wind direction is something important in forecasting. Wind direction matters much in basic weather knowledge. Your child will be learning another basic foundation instrument used in weather forecasting. A big plus here is that, wind direction and all the reasons for it are some of the easier understood science theories to the young mind. This could be a real fun time as well. The weathervanes are very unique and very interesting when picking one out for yourself. You can purchase these in a variety of designs, many of which can be colorful and fun to keep your child engaged, but you can equally design your own with some basic DIY work. Of course, a quality weathervane lets your child know which direction the wind is blowing, and this will be a key step in their growing knowledge of the natural environment. When it comes to monitoring the wind, another excellent item to invest in will be a windsock. A windsock will give you another visual indication of the direction that the wind is blowing, as well as the overall speed will be apparent in observing how full it is. Just as you’d expect, watching the windsock can be lots of fun for any child, especially when there is a variety of different wind patterns occurring. When picking one out, it can be exciting as there are many designs and colors. You will find the windsock is a very visual part of learning about weather. The wind sock mounting is a thing that should be thought about thoroughly before you purchase. You need to decide where is my best location for capturing the wind best with less obstructions. So watching a windsock as it revolves from one side to the next as the wind changes direction, to a strong wind really whipping and filling out the windsock, spell cool, and hard to forget experience for your young weather student. A quickly remembered and seldom forgotten instrument for your child’s station. Equally, if you are a Do It Yourself person, you can make your own windsock very easily by using the sleeve of an old shirt, or you could even purchase a specially designed one. If you truly want to keep track of the wind, which is always a key aspect of weather stations for kids, then you’ll want to get hold of an anemometer. For the older or more advanced child having an anemometer will provide a great learning experience. This is one of the more sophisticated weather tools, so it will be great to expose your child to an anemometer. 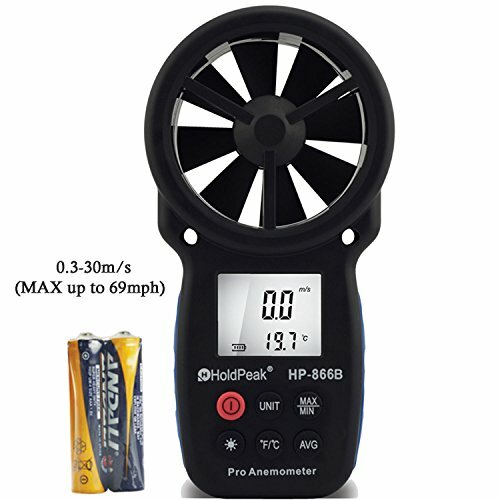 For more information and details on anemometers you want to read our published post, What Does an Anemometer Look Like. An anemometer more accurately measures the wind speed for you. Reading one of these is the experience an older child could use. In days past if you used a cup anemometer you would probably need a slide rule and a highly learned math level to calculate the wind speed. But in today’s world, anemometers are digital and they are readily available at a great bargain price to be purchased. They are also very easy to use. You can usually purchase these online superstores like Walmart or Amazon. It will be a great way to verify your child’s data that they’ve gathered through the more basic techniques. This can be added to your child’s pack of instruments, that is a basic tool that can be used to verify true north for the gathering of top weather information. You then will know the exact direction the wind is blowing from. This will help in forecasting direction, and speed of weather fronts that are blowing (moving) in. In order to get the full information your child needs about the wind patterns, a compass will be an essential purchase that will always be a key component of any weather station. Teaching your child how to read the compass is also a useful skill for them to have in general, and it’s also useful to keep the compass with them on any camping trips as well, because they will learn a great deal more about the natural world by doing so. An interesting item to consider buying in order to complete your weather stations for kids will be a hygrometer, which is designed to measure the relative humidity within the air. These tools are always fun for your kid to play with, and they’re also highly educational to boot. Fortunately, these items do not have to be too expensive either, and you’ll often be able to pick one up for just a few dollars. Alternatively, if you are purchasing comprehensive weather stations for kids, then you will likely find these meters come as standard. Of course, no weather stations for kids would be complete without a barometer, which is essential for measuring air pressure. If your child develops a great interest in the science of predicting the weather, then they will be able to learn a great deal by comparing all of their collected information. In looking at a barometer to recommend for a child student, I came across this very eye catching barometer. It is currently a popular selection from many happy Amazon customers. This model from Ambient includes three different instruments. It includes a Liquid Barometer a Galileo Thermometer and also a Dial Barometer. It uses colored liquid to highlight the change in liquid levels in tune with the barometric pressure going up or down at the present time period. This will help with understanding the upcoming weather changes. Finally, it’s a great idea to invest in a quality journal that your child can use to note down all of the information they gather. Just as you’d expect, this is a fantastic way to teach your child the basics of science, and it will also give them a special place to write down all of the information they have collected. This will give them some degree of prestige and importance that’ll greatly help to keep them engaged over the long run. At the end of the day, it’s clear to see that monitoring the weather can be a fun and engaging way to nurture your child’s interest in science. It also doesn’t have to be very expensive to gather all of the basic equipment that they’ll need to get started. You may decide to build your child a kit of weather instruments as I have laid out for you or you may make a choice of looking into and researching a weather station kit for kids. 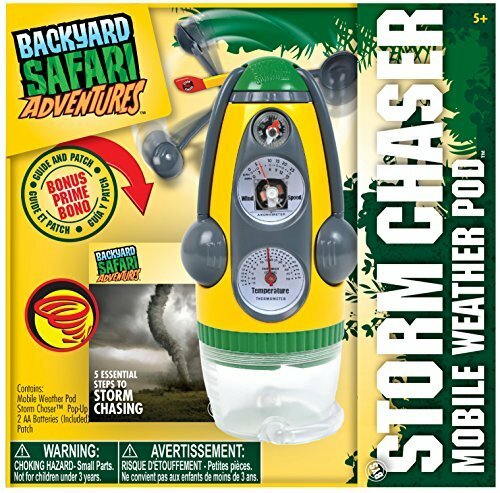 In most cases, these kits are perfectly suited for any child over the age of eight, and it will come with everything they need including thermometers, rain gauges, wind vanes, compasses, and a whole lot more. Furthermore, you can easily purchase a complete weather station set without having to spend too much money at all, and this will give your child all of the basic pieces of equipment needed to get started with this new and interesting science-based hobby. If your child does show a significant interest in weather stations after building their own, then investing in a full-blown kit can be an excellent way to keep them interested in this educational hobby, and there’s no denying how much fun they can have. 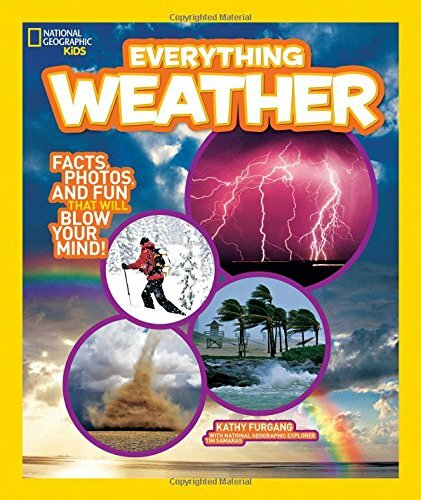 If you are looking for a way to get your kid or kids more interested in the weather you need to read this post. Kids Interest In Weather-How To Best Introduce Your Child to the Weather is a very important subject to me. I go into some ideas on how to stir up the young minds. Mounting your new Windtek Windsock does not have to be challenging. Join us as we present our recommendations for easily mounting our Windtek Windsocks. To learn more or place an order visit: http://www.bestwindsocks.com or call (800) 486-7697.